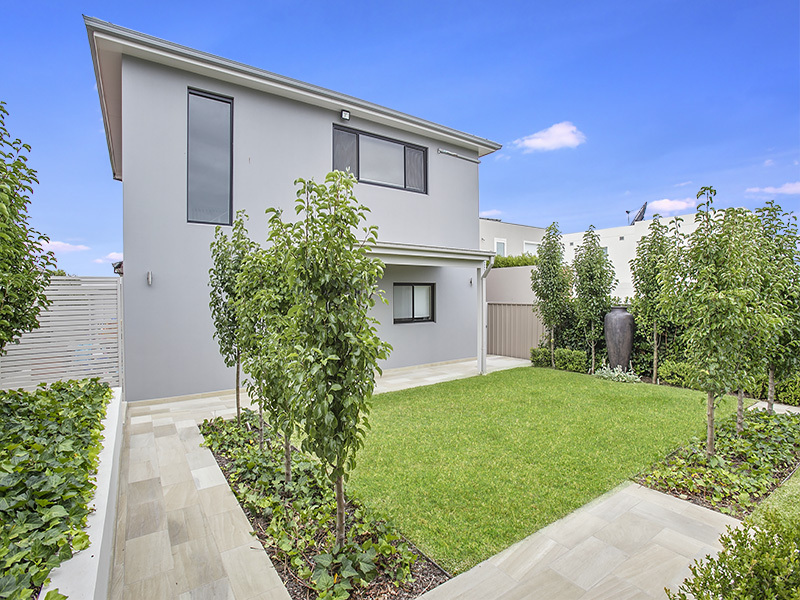 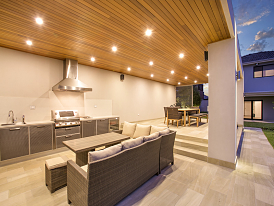 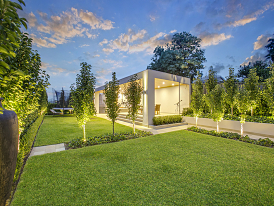 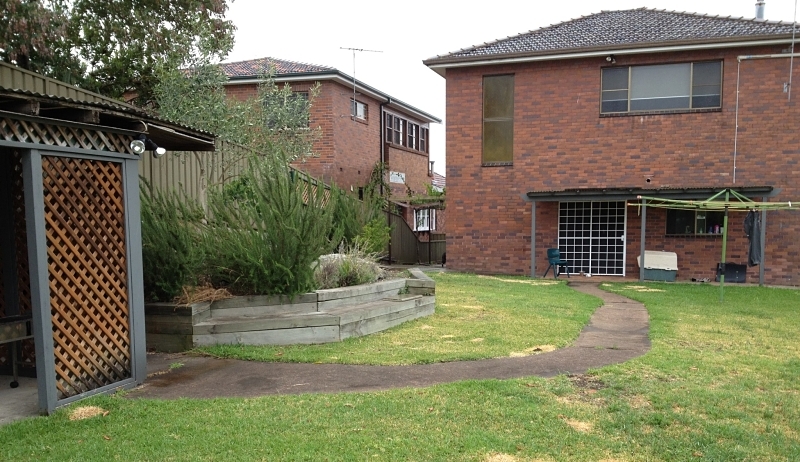 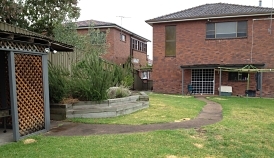 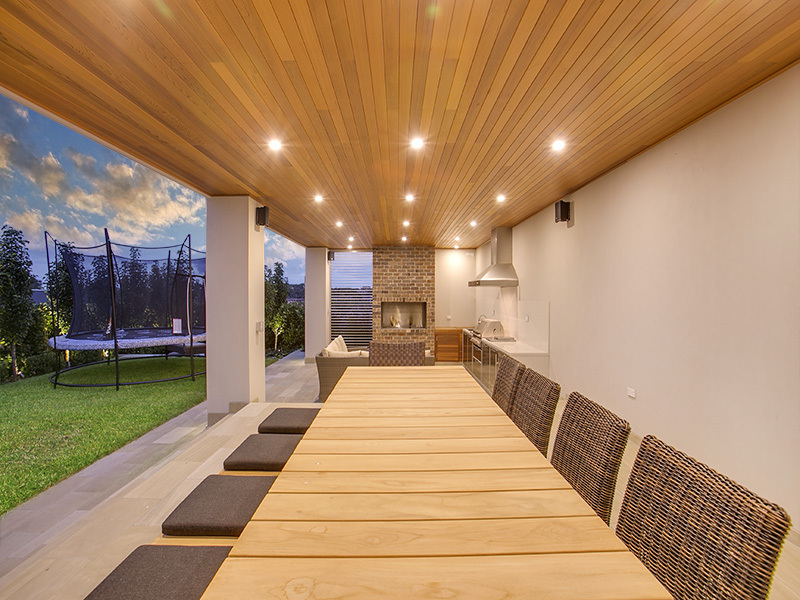 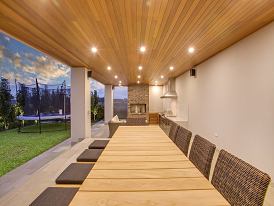 This project in Earlwood ticked all of our clients wishes. 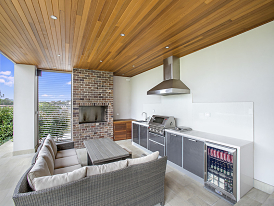 Room for 60 in an undercover area, outdoor kitchen, separate barbecue, level lawns, child and dog friendly, outdoor toilet, to accentuate the view of the city and all in a French Provincial Style. 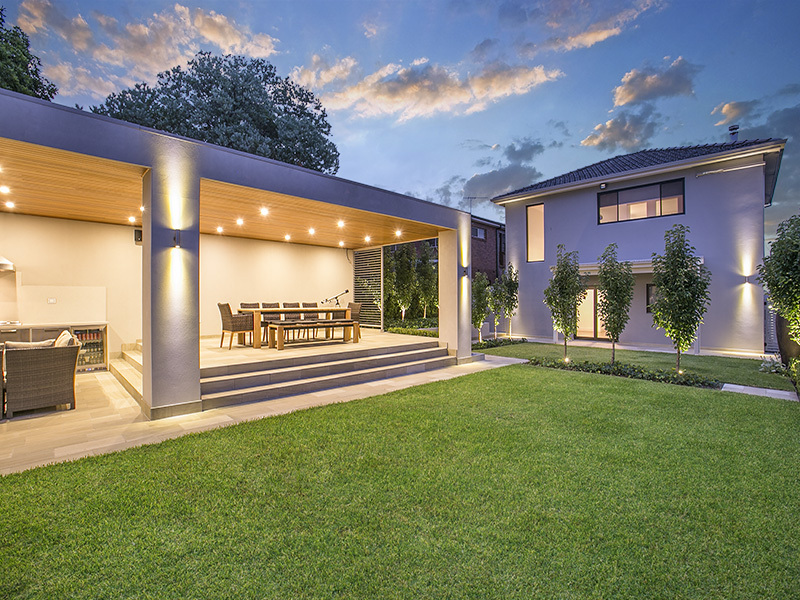 The key to this design was to soften the impact of the large structure much far as possible. 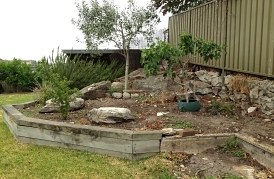 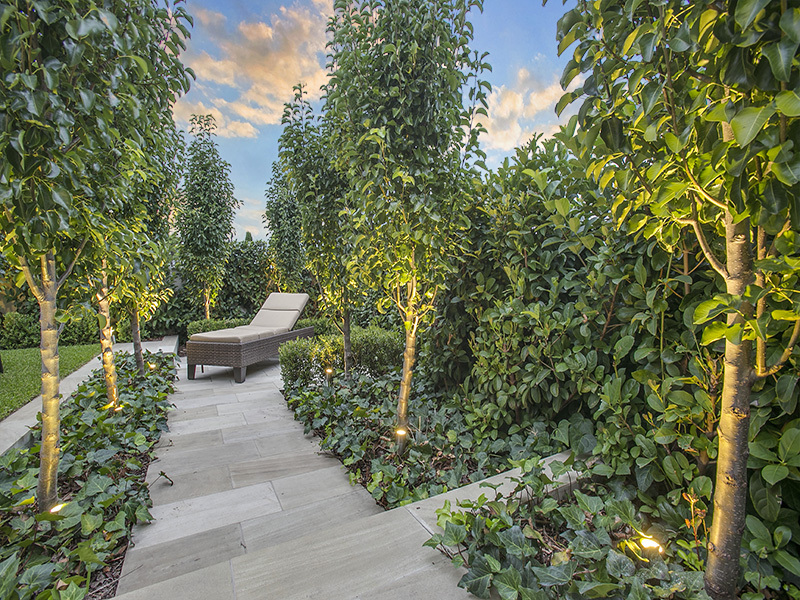 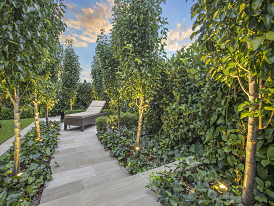 To this end we installed a number of ornamental pear trees both to the sides of the garden and also across the space. 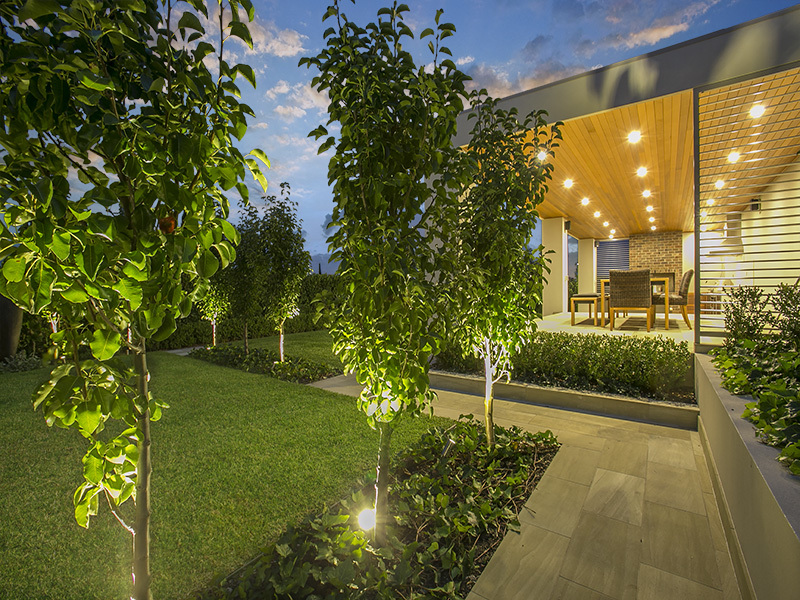 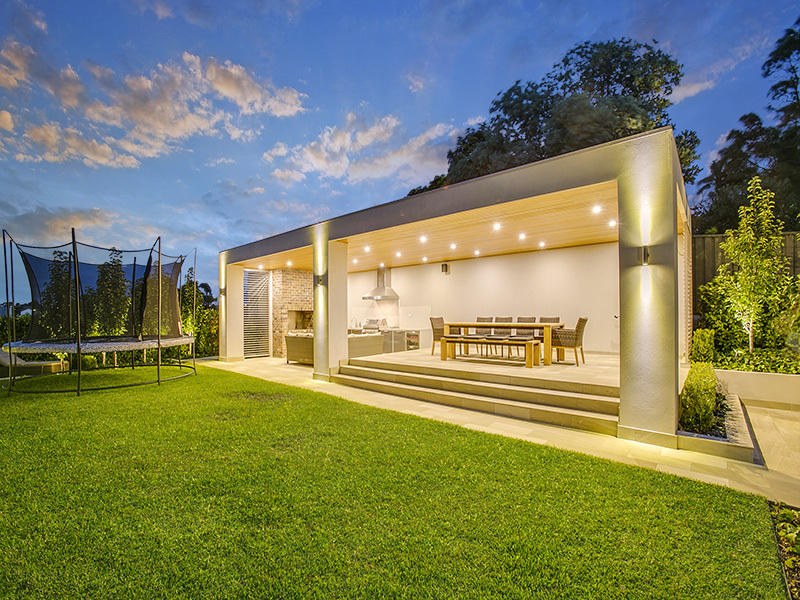 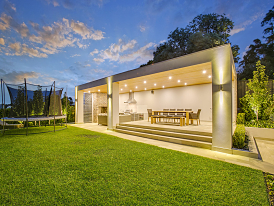 This has meant that the pergola doesn’t dominate as much as it would have otherwise. The trees really help to bring everything into scale. 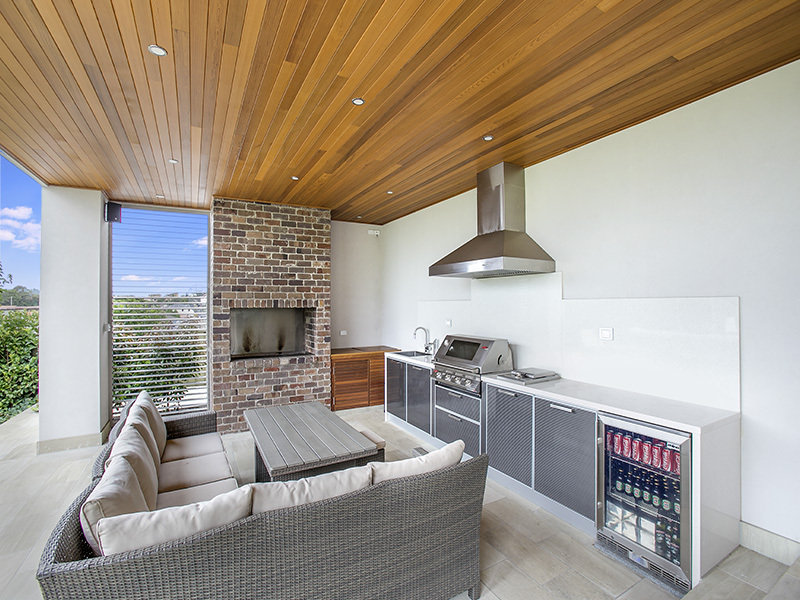 The pergola has all of the luxury inclusions including full working outdoor kitchen with instant hot water, surround sound speaker system, inbuilt charcoal barbecue built into a reclaimed brick wall, cedar ceiling, copious lighting options, separate toilet with own hot water system and louvers. The result is a classic look that really works with the rest of the garden. 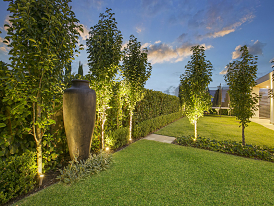 The clients are delighted with their new garden and really enjoy throwing big parties for their extended family and friends.